A cute dog doesnt want to go for walk. 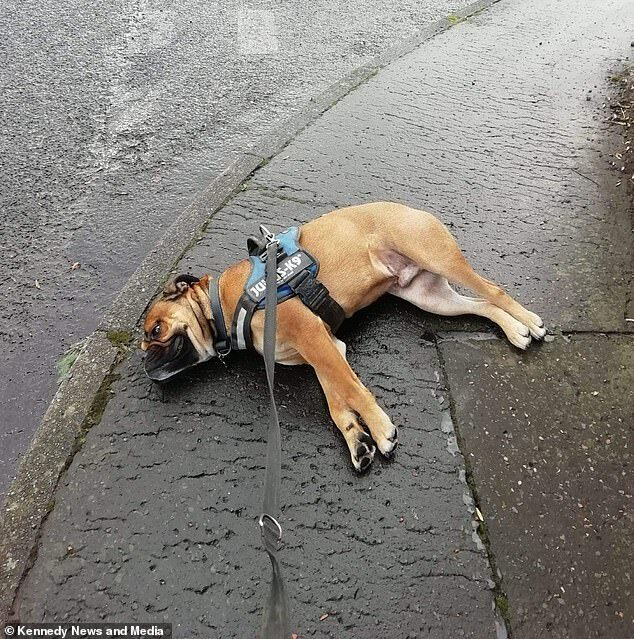 A pair of heroic workmen rushed to help a dog walker whose beloved pet had ‘died’ only to discover that the stubborn pooch was staging a lie-down protest at not going on his favourite walking route. 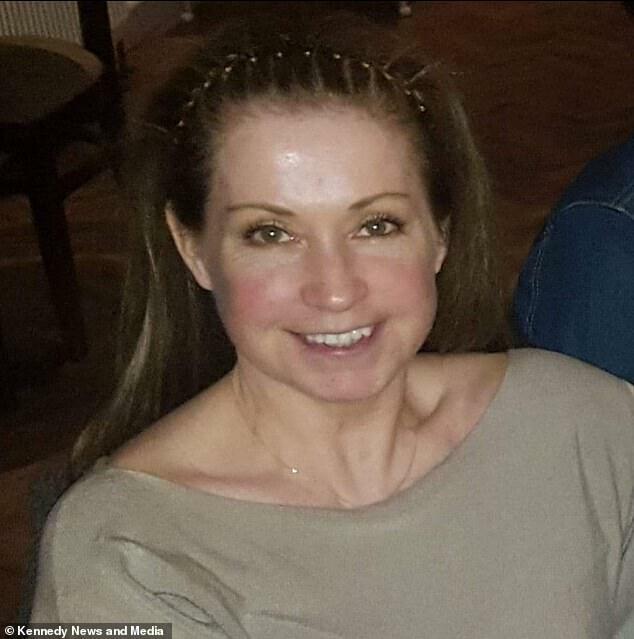 Michele Bilsland, 43, had agreed to take Old English bulldog Begbie on a shorter walk than usual last Friday afternoon due to the bad weather in Perth and Kinross, Scotland. But when the canny canine realised this, he plonked himself down on the pavement and refused to budge. 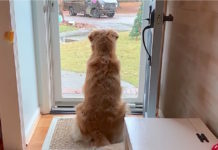 Professional dog walker Michele took four-year-old Begbie, named after Robert Carlyle’s character in cult film Trainspotting, out of the cul-de-sac and turned left instead of right to take him on a quick walk around the block. Just as Begbie swooned to the ground, two workmen driving past pulled over fearing he had dropped dead as Michele was stood open-mouthed in shock. Michele from Crieff, Perth and Kinross, said: ‘The woods he likes are up the hill but we’d turned left because the weather was stormy so he knew I was walking him down the way just towards the village. ‘When he’s not going where he wants he just throws himself on the floor and then he doesn’t move and turns his head away in disgust. ‘He’d done it seconds before the guys in the van came up that road. ‘Because Begbie was on the floor and his head was turned away they thought he’d died on me. ‘I told them he was fine and just having a tantrum and sulking so he wouldn’t move because he was playing dead. Begbie staged a minute-long protest before conceding defeat and starting plodding along the road. ‘He’s adorable and full-on in a nice way, he’s full of energy, very opinionated and such a character. ‘It’s such a lovely, unique side to him – I can’t get frustrated at him. ‘The walk he likes is about an hour and despite his build when he’s out with labradors and spaniels he always tries to keep up. ‘His build means he’s not meant for speed but he doesn’t give up. He won’t be beaten though he is absolutely pooped by the end of it. ‘He adores walks and being in the countryside and won’t come back to the van when the walk is over. ‘He just throws himself on the floor and won’t move. 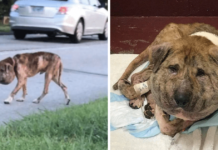 When I first started walking him three months ago I didn’t know he had this issue and was in the middle of nowhere. 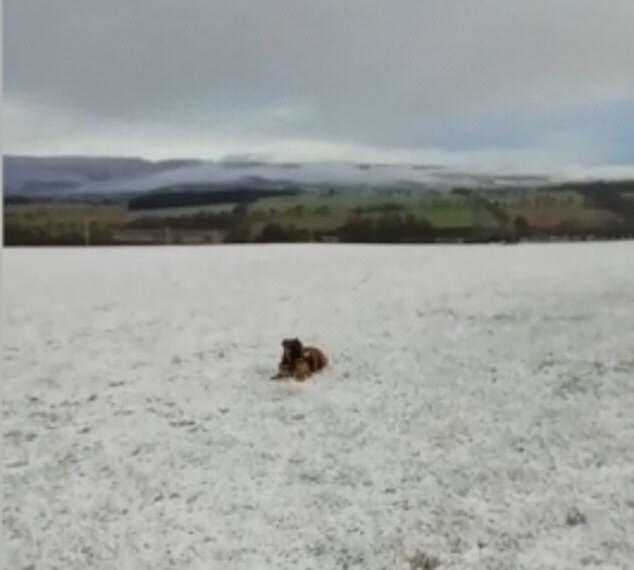 ‘He knew we were on the way back to the van and he just lay there refusing to come out of the field. Her Facebook post read: ‘So as I said to the two men who jumped out of the van to try and revive the ‘dead dog’. ‘Begbie isn’t dead,….. he is having one of his throw yourself on the floor and sulk moments because he has just realised that we aren’t going up the hill to his woods. 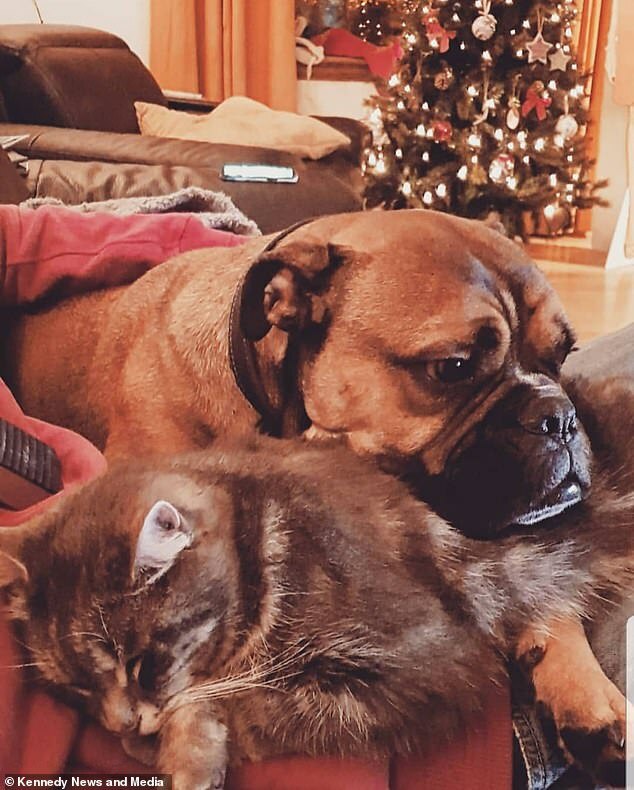 Despite being dubbed the ‘Arnold Schwarzenegger’ of dogs for his stocky build and feisty personality, Michele said that he’s a real softy at heart and loves nothing more than to curl up with his cat ‘brother’ Tag. Michele said: ‘Begbie just has a very strong personality that matches his physique. 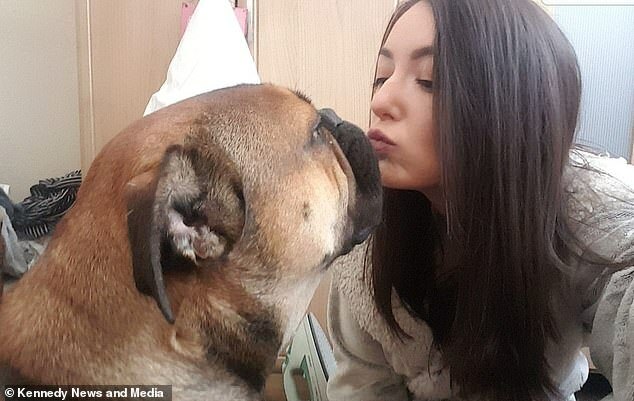 Begbie’s owners Roz Niblock, 30, and Matt Kennedy, 33, named the pooch after the Trainspotting character due to his larger-than-life personality. Cake business owner Roz said: ‘Begbie is so full of character, very friendly but stubborn as hell.